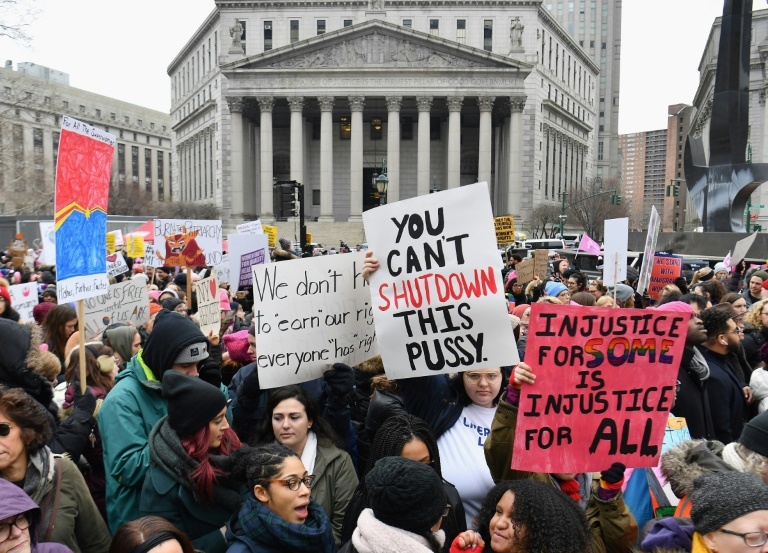 Thousands of women marched Saturday in the US capital and across the country to convey a now-annual message opposing Donald Trump and supporting women’s rights, but internal divisions appeared to steal some energy from the rallies. “We need to stand up for women all over the world — for races, gender, sexual orientation,” said Ann Caroline, 27, herself wearing a pink hat. Among the protesters was Nydia Leaf, an energetic, pink-hatted 86-year-old taking part in her third women’s march. The original marches in January 2017 helped spark a rise in women’s political activism, with a record 131 women serving in the new US Congress. Activists are also motivated by the fight over the Trump administration’s policy — since suspended — of separating undocumented parents from children at the border with Mexico.